Tank bag with tank-lock fastener. Secure and easy to use, it has a capacity of approx. 14 litres that can be expanded to a total of 18 litres. Ideal both in the city and during touring use. 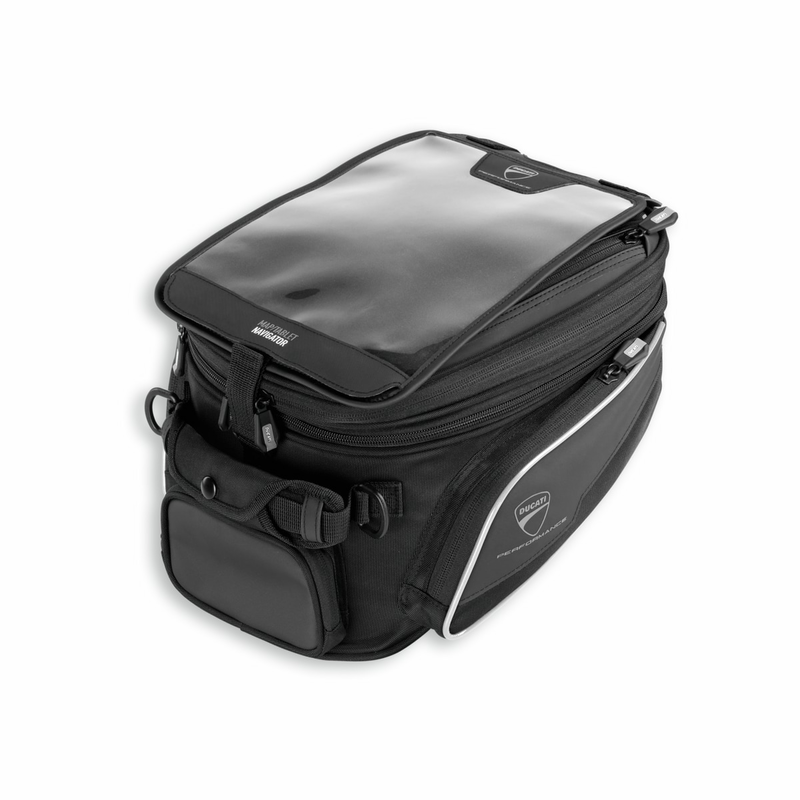 It can be assembled combined with navigator only if the last one is installed inside the bag transparent upper pocket.